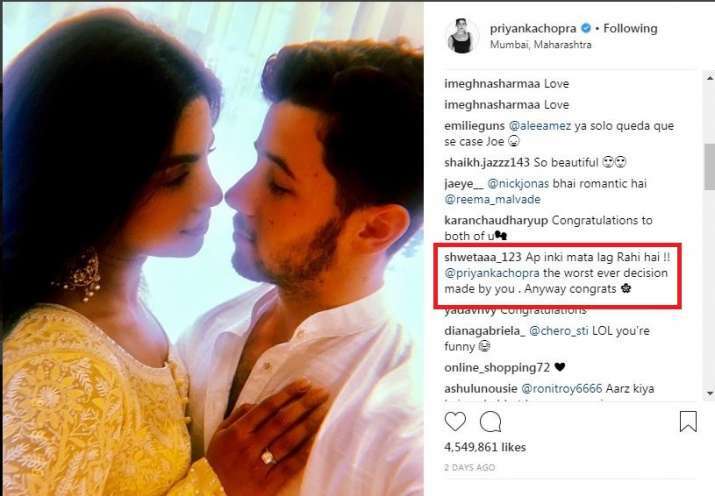 Blessings and wishes have been pouring in from all quarters for the newly-engaged couple Priyanka Chopra and Nick Jonas, but there’s a section who got busy with trolling the lovebirds right from the word go. People can’t get over the fact Bollywood’s certainly most popular actress is getting hitched to someone from the foreign land and that to who’s a decade younger to her. You know, the typical Indian ideology that says a woman should always be younger and weaker to their husband. 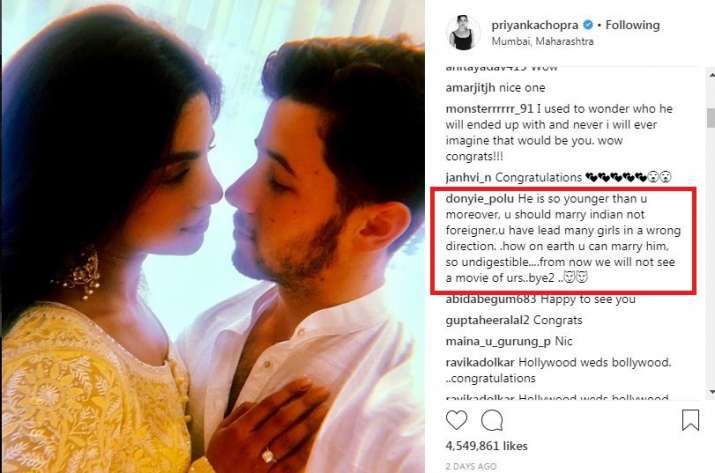 If you’ve noticed the meme trend on the social media, you’ll know how a pseudo-intellection section of our society has been trolling Priyanka Chopra for getting hitched to a man 10 years younger to her. For example, take a look at these memes, which by all way are distasteful and regressive. Me: What about you? Will you marry your gf? 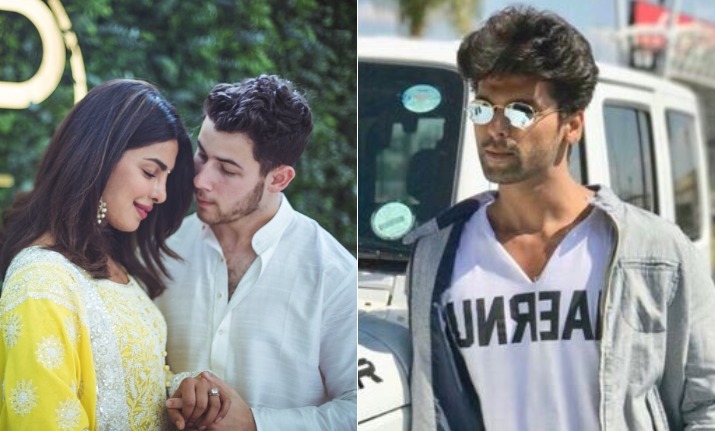 Amid such negativities, it was TV actor Kushal Tandon who took notice of the matter and slammed all the sick-minded people who are trolling Priyanka Chopra for marrying a guy younger than her. Priyanka Chopra is happily taken and she isn’t shy to flaunt it anymore! People trolling Priyanka just makes one thing clear, yea we get it , we get it , we Indians can’t stand strong independent women, especially the ones that break the stereotypes. More power to you PC! ? 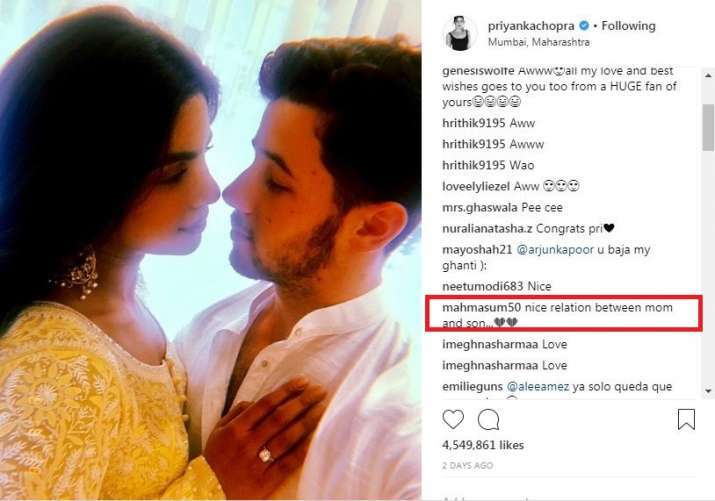 Priyanka Chopra and Nick Jonas got engaged last Saturday in a close-knit ceremony which was attended by only few Bollywood celebrities including Alia Bhatt, Arpita Khan Sharma, VJ Anusha, Sanjay Leela Bhansali. Next day, the couple went to St Catherine Orphanage to share their happiness. Nick Jonas was seen humming to the tunes of Love Struck to the children. Fiancee Priyanka Chopra was sitting next to him and looking at him with lovelorn eyes. Priyanka and Nick met at Met Gala 2017 where they both were walking for Ralph Lauren. They were introduced by PeeCee’s Quantico co-star. They instantly hit-off and after that they were seen together on countless dates, holding hands.